BIM keyboard provided by the BIM Academy Africa Pty Ltd. Scale drawings are drawings that are proportionately equal to the object/building they represent. They are created using a scale ruler to create accurate drawings – of both very large and very small objects – that fit onto standard size paper. A section drawing is an imagined ‘slice’ through a building. It describes the relationship between interior spaces, exterior spaces and floor levels, and identifies the area (in the design) that you want to investigate further. Many professionals still use the traditional (even outdated) 2D CAD technology to represent designs, having yet to explore the enormous advantages of using BIM technology. This technology requires its designers to draw countless lines, polylines and generic geometrical shapes to represent their objects (doors, windows, walls, columns, etc.) in the project’s working drawings, such as, floor plans, elevation views, cross-sections. CAD files are complex and contain a lot of information, including part performance characteristics. End-users accessing these files either need a separate spec sheet or, more likely, contact a different vendor. CAD models only have one visual representation (highly detailed) and aren’t fluid. “3D Laser Scanning” – a non-contact, non-destructive technology that digitally captures the shape of physical objects using a line of laser light. 3D laser scanners create “point clouds” of data from the object’s surface. By taking a distance measurement at every direction the scanner rapidly captures the surface shape of objects, buildings and landscapes. With laser technology, we can now survey spaces in an existing building to create a digital ‘cloud’ of geometrical points. It could be worth ‘building’ a third time for a client. Before hand-over the building can be surveyed to create an ‘as-built’ model to be compared with the design model and provide a true digital record of the building. Construction 3D Printing (or additive manufacturing) is a core method to fabricate buildings or print components. First developed in the 1980’s, it was difficult and expensive to operate, leaving few applications. Technological advances have enabled practical, home-use 3D printers from 2005. Today, full-scale printers move back and forth to extrude the concrete, layer-by-layer. Trowels placed on the side and above the nozzle flatten the extruded layers and ensure the model’s strength. One can printing a 250m² structure, over 8m high within 24hrs. It can be difficult to define BIM without descending into technical detail and acronyms. It shouldn’t be that complicated – if it is, you’ve missed the point. BIM starts with a 3D model. This model is made by using elements that act as virtual place-holders for building materials. Each of these elements are linked to rich, intelligent data about that element. This data contains information from dimensions to installation, warranties through operations and maintenance and even insurance claims. All this information is in one place – the model. BAM is the process contractors use and interact with the model onsite to assemble and create the building itself. The model’s second phase sees it become an “instructions tool.” The Building Assembly Model empowers the team to assemble and construct the building to the exact specs that the architect proposed in the design phase. Offers the team a virtual simulation of the building before it is even constructed. Provides the team with a clear set of instructions – customised to their own interests in the project. Most importantly, is a communication tool to collaborate on. Encourages more shop fabrication, which saves on costs and time and improves the quality of these elements. 4D uses the 3D modelling tools to create and manage the timings and schedule of the project. This is achieved by linking each activity on a Gantt Chart (from Primavera or Microsoft Project) to the model. 4D BIM is a powerful tool for communicating the impact of every stage of the built asset. The team can see and get a clear impression of how the asset will look and operate at each stage, rather than having to glean that from plans or Gantt charts. The team to communicate its intentions precisely with a visual tool. Planners to quickly develop and adjust accurate programmes for a project, based on one united and reliable source of information. Specific activities and items to be clearly linked to their graphical representations. QSs spend a lot of time and effort into producing accurate cost estimates that they are happy to stake their expert reputation on. It is only natural that these professionals are questioning their futures in a digitalised construction industry. BIM tools can churn out an estimate after all. 5D BIM is more than model-based estimating. It’s a new way of working with the client and project stakeholders bringing a wealth of information and experience to the project using visual communication. The quality of your cost estimate is directly linked to the quality of the data produced by the rest of the project team. If that’s wrong or inconsistent, errors are carried forward into your costing. That is no different to the traditional approach. The QS has always filled the role of checking the accuracy of the design and closing off the design phase, opening the door to the construction phase of the project. By quantifying materials and costs the project takes its first steps into the physical world and having someone take accountability for this step is paramount. If anything, Cost Managers are likely to become more valuable with 5D BIM. Time for a pay rise guys and girls! 6D BIM, refers to the intelligent linking of individual 3D components or assemblies with all aspects of project life-cycle management information. With the uptick of BIM adoption, so we see the increase in “Faux BIM” – where companies loosely throw around the term BIM (as a marketing and networking tool) as interchangeable with 3D modelling. Stunts the adoption of processes required to increase the collective BIM maturity level. Dilutes the project deliverable and construction advantages to be gained by a BIM process, to other consultants who have signed up with certain expectations of a BIM project. Creates unfair tender expectations and costs. Generates additional work and related fees as others now need to constantly convert and supplement missing information. 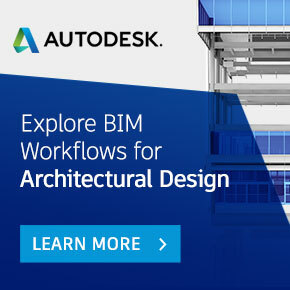 Changes the workflow of accepted Common Data Environments and efficient accepted BIM norms. A self-motivated person who undertakes the task of facilitating and implementing BIM concepts and workflows within an organisation, Project Team or industry. Someone is perceived to be a BIM Champion when his/her actions are at the leading edge of BIM technology, process or policy. The results are used to generate relevant reports. The formal or informal efforts to teach/learn how to use BIM software tools, model uses and model-based workflows. Informal BIM Education refers to learning based on reading, attending seminars or similar without a certificate. Some educational programs (eg. CPD programs) incorporate both formal and informal BIM Education methods. Defines how the BIM aspects of a project will be carried out. Clarifies the team’s roles and responsibilities, standards to be applied and procedures to be followed. The BEP may be updated after the contract has been awarded. Web-based tools and mobile technologies that enable the sharing of user-generated content. A Blog, a Wiki and a Twitter account are examples of media enabling social interaction between organisations and individual users. The collection, classification, storage and redistribution of information in digital, audio-visual or paper form. Information Management also refers to the ability of an organisation to harvest and use information in its decision-making process. A programme (or program) is a document associating one or more classification systems to time and/or location. For example, a BIM Competency Improvement Programme is a document linking BIM competencies, BIM roles (and/or other classification systems) to a timeline or target dates. The ASAQS Elemental classification is developed to classify elements and objects for construction in a African environment based on the principals of the Standard method of Measurement. The classification system is not designed to replace any other classification systems but is an standard for designers to classify elements and objects allowing estimators and contractors to identify elements. It contains a consistent WBS, classifying items of all scale from a substructure such as strip footings down through to products such as audio visual installations. It may be that an African classification system is required to satisfy all parties involved in an asset and to make information available throughout its whole life. This is no simple task, which becomes more complex when the range of assets is considered in both buildings and infrastructure. A multi-party, model-based workflow where the type, timing and sequence of activities facilitate the exchange of data, information, models or documents between team members. The exchange (or sharing) of information between project participants using 3D digital models. This is the second stage in the BIM Stages index. A defined set of information units that needs to be exchanged to support a particular business requirement at a particular process phase(s) or stage(s). IFC refers to a neutral/open specification (schema) and a non-proprietary ‘BIM file format’ developed by buildingSMART. Most major BIM software tools support the import and export of IFC files. A schema used for exchanging information and model viewpoints between individuals irrespective of the software tools used. Implemented as both an XML file (bcfXML) format and a RESTful API webservice (bcfAPI) – the Open BIM Collaboration Format (BCF) is typically used to highlight issues discovered during model reviews. The schema allows for the exchange of comments and images linked to specific Model Components through their unique Global Unique IDentifiers (GUID). TO WORK successfully in a building information modelling (BIM) environment, we need to collaborate. But what is collaborative working and why aren’t we doing it in construction? Social Strategist Su Butcher explores the barriers and how to overcome them. Where 3D models – combined with other technologies – allow users to experience virtual objects superimposed on top of physical objects or places. As opposed to Virtual Reality Simulation, Augmented Reality (AR) is only partial ‘immersive’ thus allowing images from the physical and virtual worlds to appear as one. AR is typically experienced through hand-held screens, wearables, holograms and projections. Building Information Modelling (BIM) is a set of technologies, processes and policies enabling multiple stakeholders to collaboratively design, construct and operate a facility in virtual space. As a term, BIM has grown tremendously over the years and is now the ‘current expression of digital innovation’ across the construction industry. The computers, equipment and peripherals specifically needed to generate BIModels and enable the use of them. The term BIM Hardware therefore includes tablets used in Field BIM and 3D Laser Scanners used – as part of a workflow – to generate as-built object-based models. Billions of physical devices around the world that are now connected to the internet, collecting and sharing data. With cheap processors and wireless networks, it’s possible to add anything, from a pill to an aeroplane, to the IoT. IoT adds a level of digital intelligence to devices enabling them to communicate without a human intervention, merging the digital and physical worlds. IoT is many things to many people. It includes everything from new applications, such as smart cities or autonomous vehicles to massive sensor networks for monitoring environmental or industrial systems. It’s a network of ‘smart’ objects embedded with computer chips, software and sensors. These objects are connected to each other and can exchange data with their manufacturer, operator and ad-hoc networks/systems. BIM-enabled Asset Management links virtual objects and spaces within a model to an external database to operate and maintain a facility or a portfolio of facilities. Often, a BMP is considered part of the Contractual Relationship between a project team. The BIM Object Library defines requirements for the information, geometry, behaviour and presentation of BIM objects and gives a reassurance of quality and consistency that facilitates greater collaboration across the construction industry. This enables quick, confident and informed decision-making. Due to its complexity and a lack of marketing and education in Africa – and let’s be honest, globally – it is not the commercial streams (clients) that drive the use of BIM in a project, where the client ultimately benefits the most from the technology and processes. However, using BIM on a construction project offers advantages to every level and sector represented in the project, be they time savings, cost cutting, better communication and less mistakes or an user-friendly and more responsive end-product, I have never heard of a client that was upset by the efficiencies offered by a BIM project, and once they have been involved in a BIM project, they are often the biggest advocates of digital construction. With the exception of South Africa and Japan, most countries’ higher education and professional body institutions are including structured BIM education within the syllabus of their AEC courses, at both an undergraduate and postgraduate level. Countries such as Australia, Finland, Netherlands, Singapore, Sweden, UK and USA are reporting a significant volume of courses and subjects available. Many vocational education institutions are also providing BIM education to the industry’s workforce..
Whilst the majority of BIM education being provided tends to focus on the use of particular BIM software packages. It has been reported that training for both graduates and professionals in OpenBIM concepts, BIM management and working in collaborative BIM environments, appears be increasing, particularly in the northern European countries, but it still has a long way to go. Countries including Australia, Finland, Hong Kong, Norway, Singapore, Sweden, Switzerland, UK and USA have reported training and education being available within most Institutions and offers CPD accreditation. Access www.NavBIM.com for more information on Building Information Modelling and the steps to making your BIM career a success.